Koh is looking for Tyramigo, which is what he’s named his Kishiryu. Melt says none of them are around, so they should go search for them. After a quick recap of the premiere, Ui pops in with her hungry tummy and shows them drawings of the Kishiryu. On the other side of town, Kureon drips green slime into a fencer’s mouth as he trains, turning him into a Minusaur. 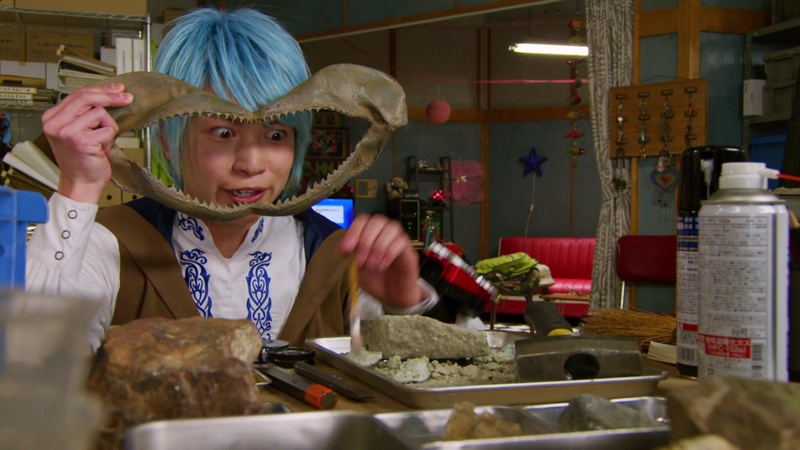 Ui brings the Ryusoulgers to her father, a paleontologist who studies strange dinosaurs. Ui asks him if her new friends can stay with them for a while. He is so happy to have his daughter bring home some friends for once. Naohisa tells them he learned of the Kishiryu when he found ruins of temples while excavating fossils. He gives them a map of the locations. 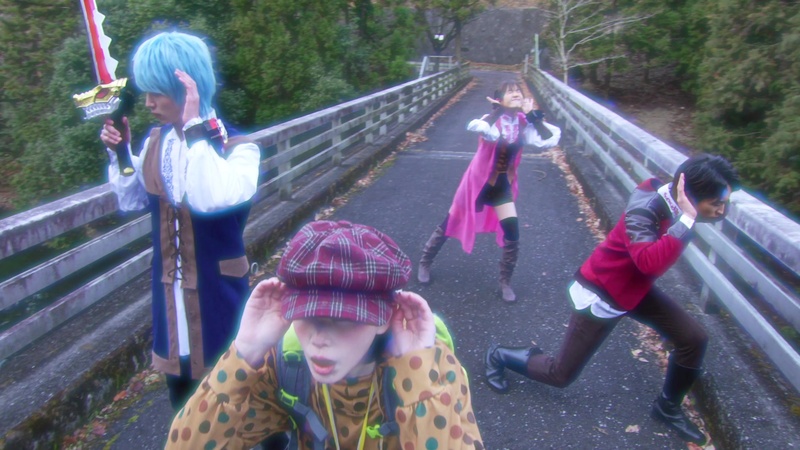 Koh, Melt, Asuna and Ui head out to search. Melt uses KikeSoul to try and listen for any clues and he hears sounds of clashing metal. It turns out to be the clanging of fencing blades. They arrive at a fencing gym. Koh thinks their green and black comrades are one of these fencers. The fencer who was dripped with slime earlier, Takanori Mishima, sits outside looking at a picture of his family. Ui approaches him and he tells her he hasn’t seen his daughter in two years. He made a promise not to return home until he became the number one fencer in Japan. 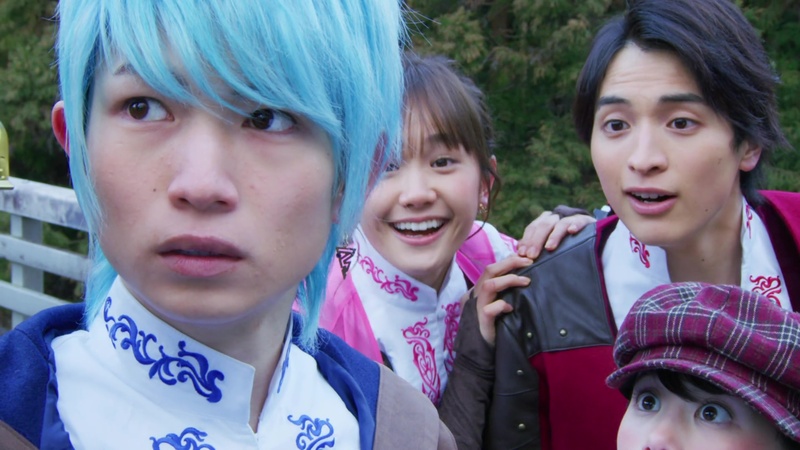 Despite Melt and Asuna trying to calm Koh down, Koh runs over to Mishima and asks him directly if he is a Ryusoulger. Just then, an explosion nearby. 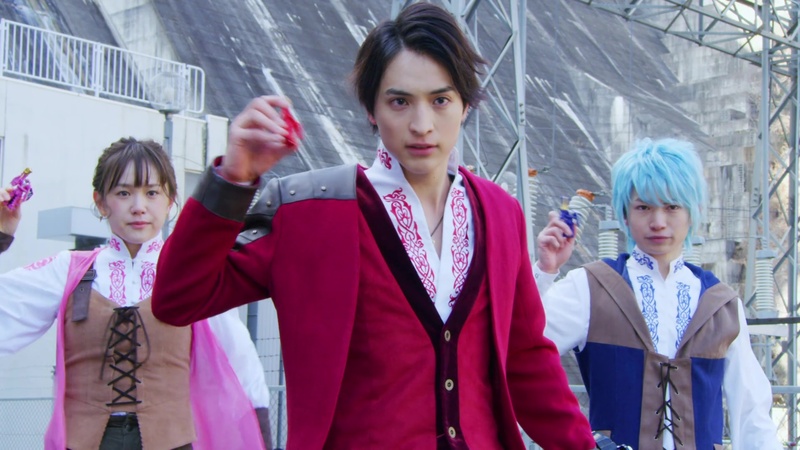 The Ryusoulgers hurry over. But Takanori suddenly collapses. Koh, Melt and Asuna find the Minusaur and they morph. But when the Minusaur is getting to be a little too much for them, Koh uses KusaSoul to fart up a fog. Only, it more affects them instead of the Minusaur. Kureon appears with some Drunns. She explains that she created this Minusaur and that Minusaurs grow by consuming energy from the humans they were born out of. This in turn will allow the Druidons to kill all humans. Tankjo comes barreling onto the scene and that allows the Minusaur to fly away. Kureon says they can retreat now so they leave. 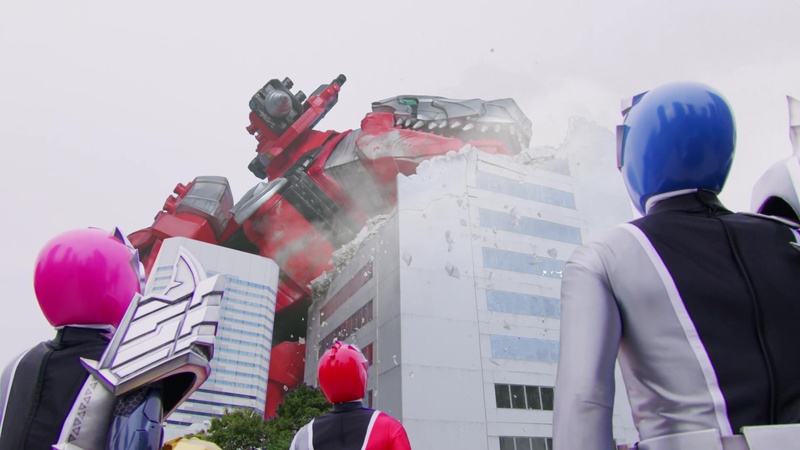 The Ryusoulgers realize the Druidons returned to Earth to destroy humanity. Melt points out the Minusaur did some fencing moves and they realize it was born out of Mishima. 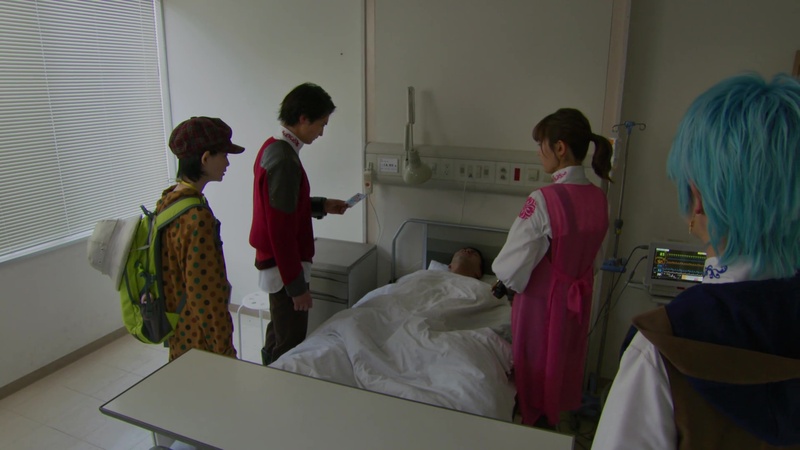 The Ryusoulgers meet Ui at the hospital where Mishima has been brought. Koh and Ui say they will go look for his family. Melt and Asuna are shocked to watch Mishima’s energy flying away right before their eyes and they believe he will die once he’s milked dry. Koh uses MieSoul and he and Ui are able to find Mishima’s family. Mishima’s wife tells them about his resolve to become number one, but she says even if he isn’t the strongest fencer, he’s still number one to them. On the other side of town, Melt and Asuna follow the flying energy and find the Minusaur has grown, literally. They call Koh to hurry over. Ui shares the sketch of the Kishiryu on her social media and Mishima’s daughter says she’s seen it before. Melt and Asuna try their best to get the Minusaur under control. But Melt gets swatted into a building and right where there’s an event for the Japanese fencing representative. He realizes the Minusaur wants to eliminate this number one fencer to allow Mishima to take over. Koh and Ui find Tyramigo hanging out with some kids. Koh pleads with Tyramigo to lend him his power to fight the Minosaur. Tyramigo quickly runs toward the city center and stops the Minusaur from attacking the conference center. They battle, but the Minusaur nocks Tyramigo out and he collapses onto a building. Melt and Asuna feel defeated, but Koh says they should never give up. He says limits are something you set yourself. And never giving up means you can be limitless. Koh, Melt and Asuna all use a couple of Souls to try and wear the Minusaur down. But it’s still not enough. Just then Tyramigo regains consciousness. Koh realizes they must make their souls one. He uses a Soul and hops in to form Kishiryu Oh. Koh is now able to easily take the Minusaur on and finish it off with a Tyra Dynamite finisher. Tankjo is amazed at watching the Kishiryu in action. Kureon notices someone watching nearby. At the hospital, Mishima wakes up to see his wife and daughter by his side. He tearily apologizes to them. 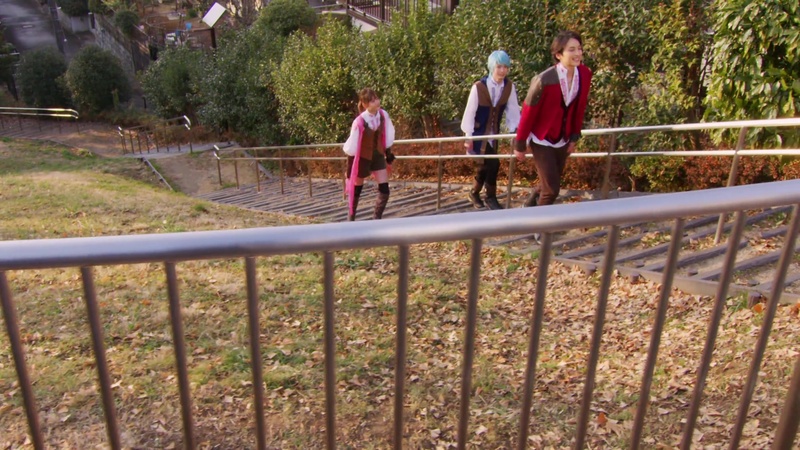 Koh, Melt and Asuna leave to give them their privacy. They are happy Mishima is alive and that his family regards him as number one. Ui is excited to upload the video she’s filmed and to send it to her father. Kureon pops up behind her. 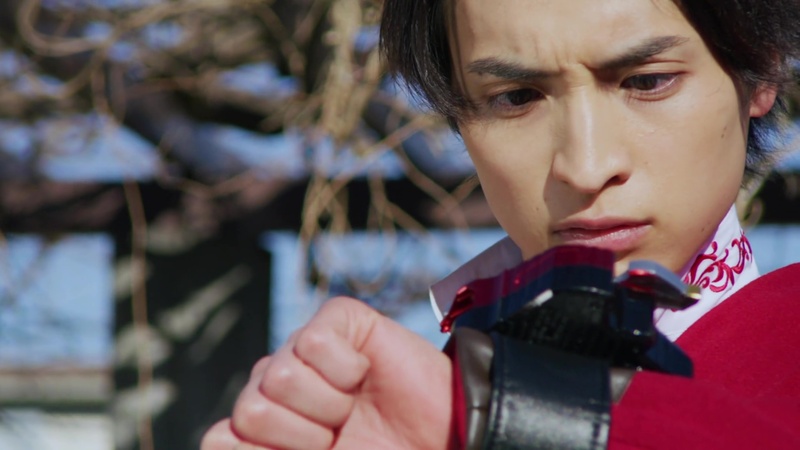 Meanwhile, a cloaked man finds Ryusoul Green and Black. Anything is going to be a little less exciting than the action-packed and very full premiere. But this was an okay episode overall. 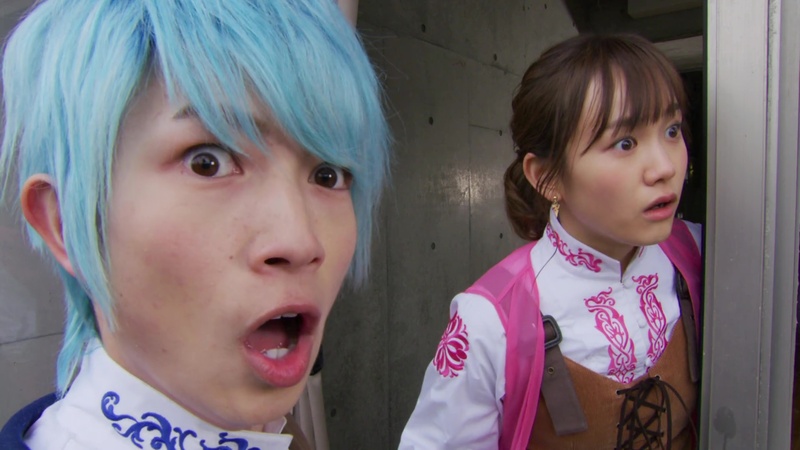 We get a little more of the dynamics between the Ryusoulgers and with Ui and her father. The episode still had a lot of great action sequences though, but substance-wise, it was a little thin. The main takeaway seems to be highlighting Koh’s strong resolve to never give up. Otherwise, not much else. Though that Kureon-Ui scene at the end threw me off. 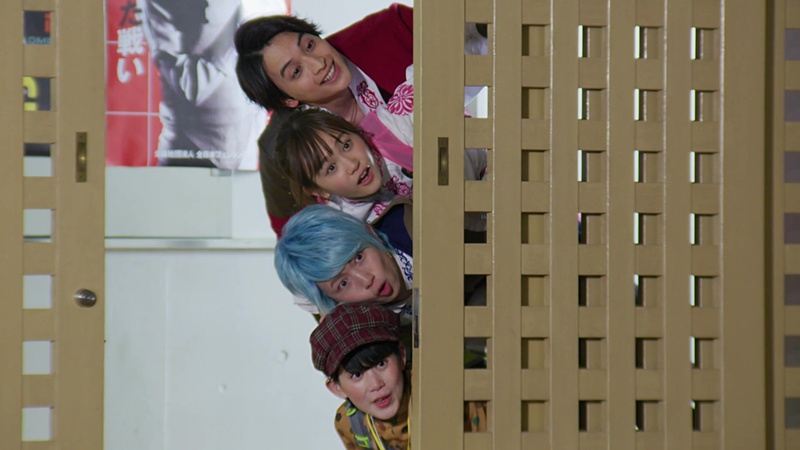 I was also a little annoyed by the return of a fart power which of course reminded me of Kyoryuger again. Overall, an okay episode. Certainly nothing too bad that would lessen my very positive reaction from the premiere. It was very good and funny episode. But one thing isn’t giving me peace – who was this cloaked man in the end? Elder? Yeah, very interesting why Elder (if him) would be secretly visiting them.